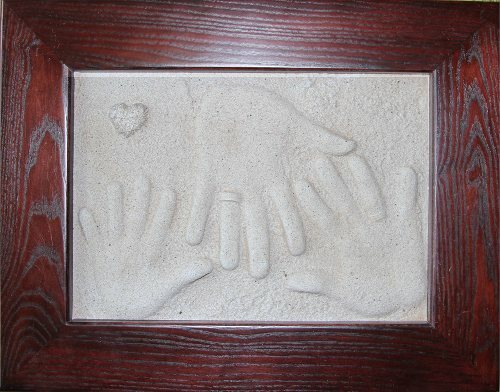 Not just a keepsake, but a real work of Art! Make a large keepasake of everyones prints even you pets! 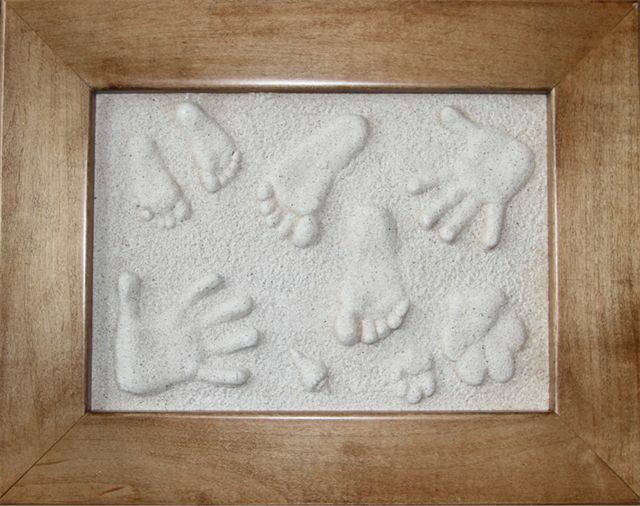 Spread the sand, make the print, pour the plaster, it's that easy! This kit comes packaged in a lovely box and includes everthing you need to make these beautiful prints! Solid Wood Frames Made in Canada!